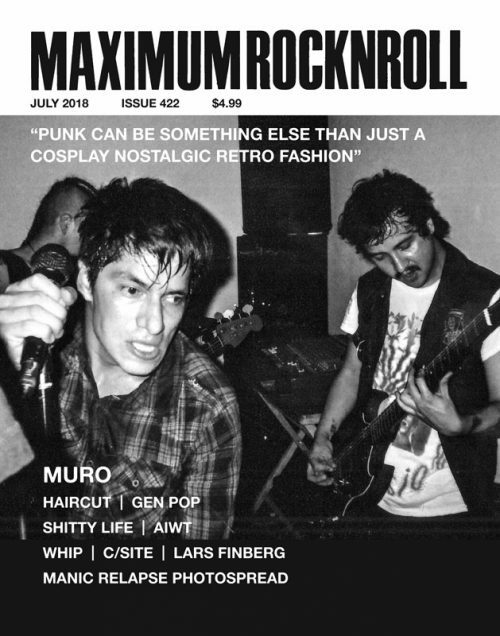 In our brand new issue — MRR #373, June 2014 — we sit down with Italy punks ANTI YOU at the tail end of their US tour; we talk with local enfant terrible DESTRY HAMPTON about his life and music growing up in SF; Mitch Clem and Ben Snakepit get tipsy in a van and talk comics, music and mid-life crises, and we get the details on Chicago’s upcoming queer and transgender festival, FED UP FEST! 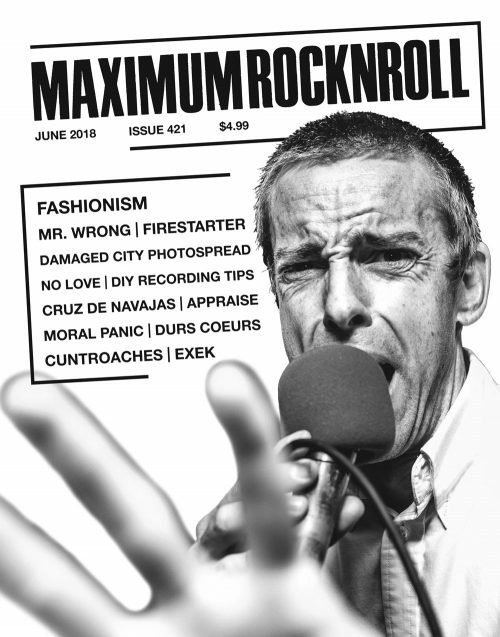 We discuss squats and apathy with Norwegian HC punks KNUSTE RUTER, and dis Christianity with Canadian melodic punkers CRUSADES; the LOWEST from Poland discuss unity and politics in their local scene, and we learn about Spanish-singin’ Finnish rock ’n’ rollers LOS CULITOS. We also talk with Sacramento punk-rockers RAT DAMAGE, San Bernardino d-beat ponx PESADILLA DISTOPIKA, Connecticut’s badass punk ladies DAMN BROADS, Providence-based angular-punk outfit COTTAGING, and Urbana-Champaign mathy-rockers HANK.. There’re also the usual “Shitworker of the Month” and “What’s the Scoop?” and our newest feature, “From the Vault,” this month featuring the epic WIPERS. 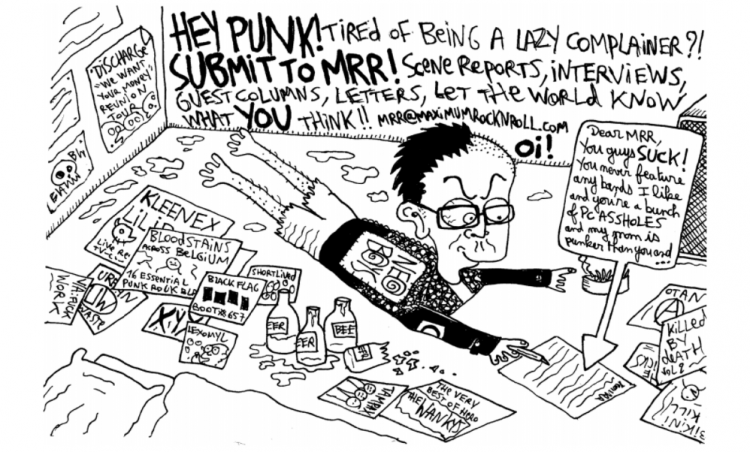 All of this, plus your usual columns, book, zine and movie reviews, and the most extensive record reviews section in punk print, yo!